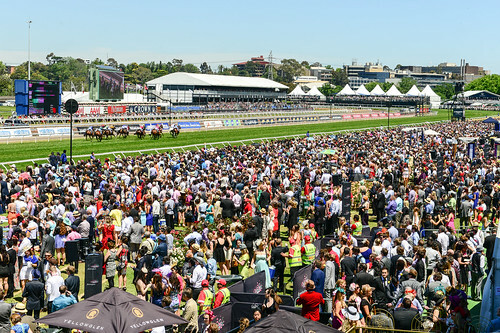 Over 100,000 people went to the Melbourne Cup on a glorious warm sunny day. 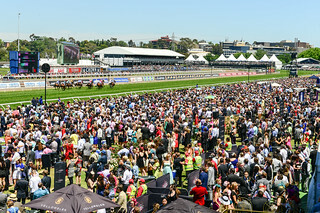 This picture was taken on the top of the free viewing platform at the Myer Marquee. Its the only place I know of where you can get a feel for the area without having to pay for it as it costs a lot of money to get a seat in the stands.